We decided to investigate and find out where this fresh influence came from. Jim described his early career starting in New York. 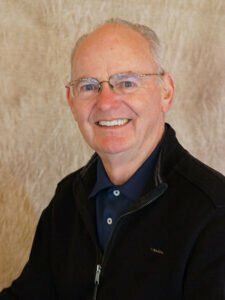 Jim then switched coasts, serving as the Head Professional at Forty Niner CC in Tucson, AZ for 16 years, and then Director of Sales and Training for Henry- Griffitts Inc. in Hayden Lake, ID. He opened his own golf shop in Naples, FL, in 2006. In 2013 he returned to the Pacific Northwest to take his current position as Director of Player Development at Tualatin CC, where he puts all of his vast experience to use. “When it comes to teaching, coaching and club fitting, Jim is like an encyclopedia. He is a valuable asset to our staff and a vital part of our team,” said Sean. As an instructor, Jim’s mission statement is and has always been “Keeping Golf Fun”. We asked Jim about some of the ways that he accomplishes this. “For our junior camps, it is games and contests. The kids know how to play, as instructors we need to create ways that will allow them to play with instruction as a byproduct of the play. With adults, the structure needs to be simple and success needs to be immediate. The adults want quick improvement so I start with short shots first,” Jim answered. Sean was also impressed that Jim has elevated Tulatin CC to a club-fitting destination. Thank you, Jim Mapother! And congratulations on winning the 2016 Oregon Chapter PGA Teacher of the Year award.